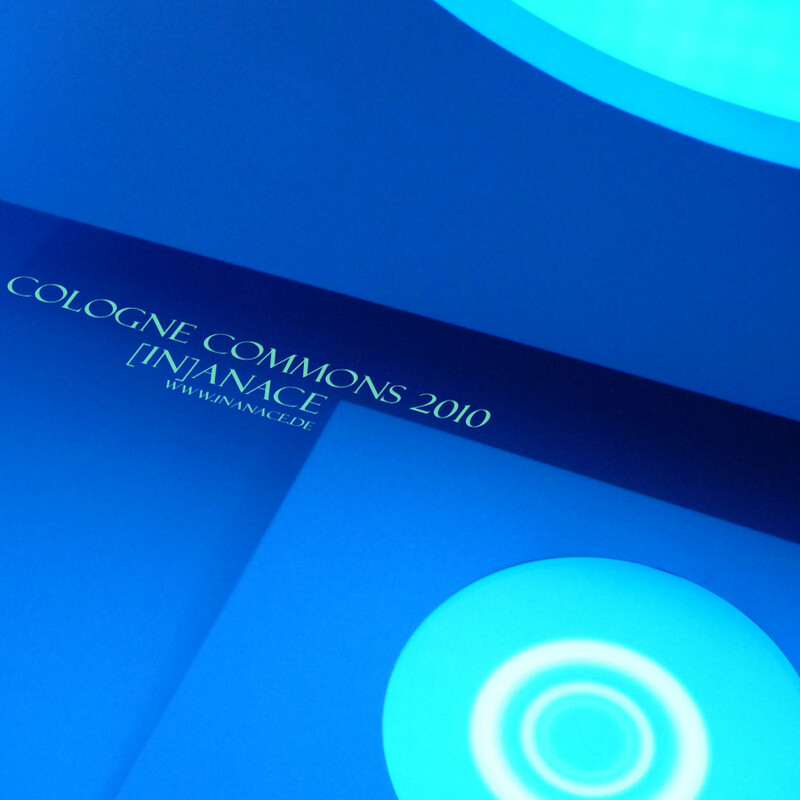 The Cologne Commons is a conference and festival for digital culture happening on a yearly basis in Cologne, Germany. It’s a rather small festival but with lots of interesting people coming from many parts of the world for playing and listening to music, having discussions and sharing ideas or for simply enjoying the time and having a beer. This year I had the pleasure to attend to this cozy festival and to play a one hour live DJ set. I was invited and presented as the “Godfather of Netaudio”. The reason behind is that I most possibly shared the first netaudio only DJ sets back in 2001 (under the SUBSOURCE umbrella) and I organized the first netaudio parties also in that days. Now the idea was to somehow reflect this status with a DJ set which would cover the history of the netmusic scene. Of course it sounds impossible to have all the highlights and all the styles of almost a decade of netmusic combined into a short DJ set but I simply started playing. The set starts with some droning ambient and fades into the world of playful IDM which was quite popular on the net in the beginning of this century. Fascinating music which brought me personally even closer to netmusic and which is still very enjoyable. After that part the set turns into a Four-on-the-floor house and techno set. Back in the days it was quite hard to create such a DJ set made only with netaudio tunes. There simply was no such music free on the net. Fortunately, this has changed nowadays. The set presents some of the classic floor movers as well as some current flavors. Finally I decided to edit the live recorded DJ set in order to provide an alternative ending and to play some additional tunes which I somehow missed to play live. Please enjoy this set and be shareful! Superloader – Let It Off! Special thanks to silentseason.com for providing SSCD03. Picture artwork by [in]anace. Picture taken in an elevator of the Shanghai World Financial Center. 17 Jun 2010 | Filed under Mixfiles and tagged with deep house, electronica, idm, minimal, tech house, techno. Thank you all for beeing so shareful!